Instructors in the Weatherization Training Center (WTC) grant program recognize different learning principles apply when they teach adult learners. "They are a different breed all together," says Bill Van der Meer, senior technical adviser, Simonson Management Services (SMS). Adult learners take control of their learning. They embrace the challenges of problem solving and pursue solutions independently. These traits differentiate the group from younger learners who typically follow teachers' directives. Older students have been in the work force for many years and bring a lot of life experience to the classroom. Learning comes more easily when they can relate the new material to existing knowledge. Mr. Van der Meer uses the Whole-Part-Whole Approach. He starts with the big picture, then breaks it apart into smaller components, then summarizes the big picture. The approach teaches the "why" by referencing from the details back to the broad concepts. Trainers work diligently to break down barriers to success. These barriers might be lack of time, interest, or confidence. "The key is to 'drive the hook'— snag them. Let them know how the subject matter will help them meet their bigger goals. Their motivation is to become more proficient so they can be successful in their careers," he says. Brad Turner, residential green building services program manager, Southface Energy Institute, Atlanta, Georgia, agrees that different learning styles and teaching strategies apply to adult learners. "Different people have different ways they prefer to learn: visual, auditory, hands-on. I try to present everything in all those ways. I have found adult learners really like to tackle a job without us telling them what to do every step of the way. Sometimes we come behind them and say how they could have done the tasks more efficiently," says Mr. Turner. Entrenched work patterns may need to be unlearned or modified because technology and best practices change over the years. "We show them slowly and repeatedly, and then let them do it," he says. "One of the best ways to learn is to be forced to teach it," says Mr. Turner. In one exercise, students receive a topic and information materials. After a set time to allow study and practice, students are asked to make a presentation in front of the class. "The exercise really helps retention and learning because they've got to know it. They are accountable," he explains. Mr. Turner utilizes breaks between classes to get to know his students. These informal conversations give opportunities for teachable moments and they help relieve pressures the older learners may feel. "They haven't been in the classroom in a long time and are anxious about the test. Maybe their jobs are hinging on if they pass the test," says Mr. Turner. He incorporates strategies to reduce stress. "We share jokes, show videos, and get them talking about themselves. We make the class interactive. It makes them feel good when they can contribute." 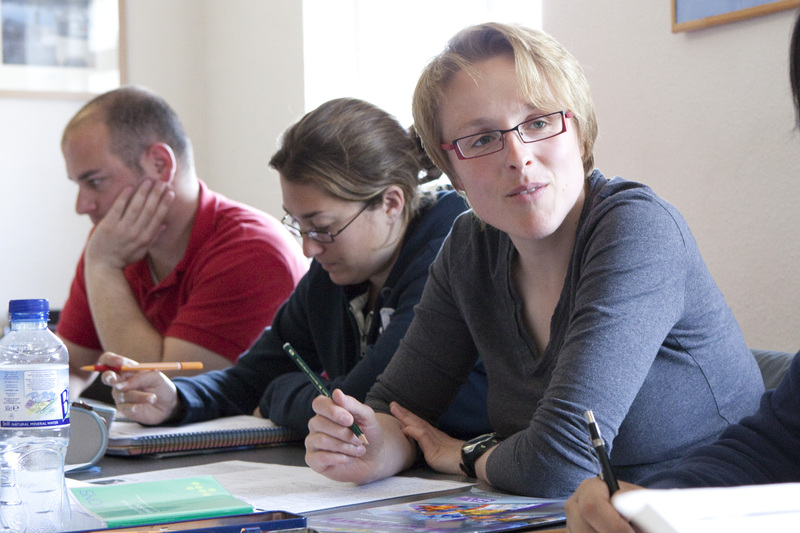 In addition to being good students, adult learners want to share their knowledge. "A lot of them have an instinct to mentor. They want to help others," says Mr. Turner. Dave Hepinstall and his team shrank the distance in distance learning by making it face to face. With a collection of cameras, computers, microphones, and a dedicated Internet connection, he sparks interaction between teachers, lab technicians, and students. They share learning experiences as if in the same room though they may be separated by thousands of miles. "This can happen anywhere in the world with an Internet connection," says Mr. Hepinstall, executive director of the Association for Energy Affordability (AEA) of New York. He and his team at AEA offer a high-definition, easy-viewing experience with the possibility of connecting as many as 48 remote sites at a time. Mr. Hepinstall's take on distance learning is more than video conferencing. The instructors' lectures, often presented with 3-D animations, may switch over to a lab demonstration to provide a rich learning experience. When students in a distant learning classroom ask questions, they can receive responses from the host site or another remote classroom, all the while cameras zoom in from one setting to the next. This seamless transition between locations erases the miles between participants. "Everyone is engaged," says Mr. Hepinstall about the person-to-person communication. AEA developed an affordable distance learning infrastructure and now delivers immersive training to Weatherization Training Centers around the country. AEA is working to maximize the Weatherization Assistance Program (WAP) network's nationwide connectivity. "We believe in helping create a business learning community," says Mr. Hepinstall. He utilizes IT network engineers, professional videographers, curriculum designers, energy auditors, and construction managers to implement AEA's WAP Training Center grant. AEA produces training modules specializing in multifamily housing, and its 3-D animations and instructional videos are produced at AEA's energy management training center in Bronx, New York. Course offerings include modules on multifamily energy auditing and heating systems, as well as construction project management. Job placement officers show a lot of optimism about the green jobs economy. Working in the trenches, they deal with the realities of high unemployment in local economies, yet still manage to spur job growth in the weatherization industry. Developing these job opportunities takes tremendous effort and resourcefulness. Job placement officers, program managers, and sustainability directors credit strong partnerships with contractors, business leaders, community colleges, local development agencies, state organizations, and the U.S. Department of Energy (DOE) for contributing to their success. "Collaborate, collaborate, collaborate. Build capacity. Be innovative in your thinking when you design your program. 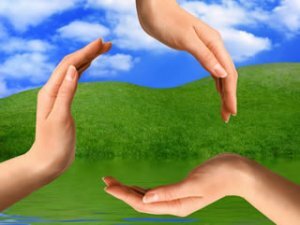 Touch many different trades and industries," says James C. Robinson, Jr., weatherization coordinator for WorkNet Pinellas, Clearwater, Florida. WorkNet Pinellas schedules monthly hiring events with local contractors. "They are definitely coming to our organization to hire our students. Our students have acquired the knowledge on how to do weatherization; that knowledge makes them more advantageous employees," says Mr. Robinson. "We've learned face-to-face meetings with contractors work better than over the phone," says Gwenn Weiser, director, Green Jobs Academy, South Middlesex Opportunity Council, Inc., Framingham, Massachusetts. She checks in frequently to learn about their needs and how her students can fill the jobs. "I always set up meetings with them. I've been successful in finding opportunities, finding contractors, and putting people to work," says Ms. Weiser. "Every day we explore new possibilities for our students. We are looking for ways to get members of the business and trade communities to act as mentors and provide practical experience for our students," says Dr. Elaine DeRosa, Weatherization Training Program manager, Green Jobs Academy, Bucks County Community College, Newtown, Pennsylvania. She connects with contractors, business organizations, government agencies, and "any avenue we think will help contribute to the success of our students." Mentoring contractors is part of the big picture for job placement efforts at the University of Massachusetts, Dartmouth. The work of a regional weatherization task force revealed that very few contractors in the area could do high-level weatherization work. "We decided to build a training center to deal with community needs. Now we are able to give support to local contractors to update their skill sets and build their capacity to hire people," says Susan Jennings, director of sustainability. Some contractors also lack business expertise, so the university's business school has stepped in to offer professional guidance. "We are a regional university. Part of our mission is to provide support. We have a long-term commitment to developing the local work force," says Ms. Jennings. Alaskan communities are very supportive of training programs. "They have a long history of nurturing and providing education," says Marquam George, associate professor, University of Alaska Southeast, Juneau. He works in collaboration with the Central Council Tlingit and Haida Indian Tribes of Alaska. The training center increases students' success rates by offering remedial education classes before beginning the weatherization training. Weatherization classes have a hands-on, practical approach. Graduates have found work with private contractors and housing authorities. "Alaska Natives take pride in their culture and community. By adding job skills, they become empowered to make a big difference and become large assets in their communities. We support them as they work in the field with ongoing mentoring," says Mr. George. "Our strategy is to work very hard to solicit grants from all spectrums of the green programs. We have a great grant-writing team," says Michael Stokes, program manager for The WorkPlace, Bridgeport, Connecticut. The DOE Weatherization Assistance Program grant is used for training to earn nationally recognized credentials. "We are creating a career ladder," says Mr. Stokes about this higher tier of training. Other grant programs help support entry-level training. With all components in place, students can continue their education and be prepared for a variety of jobs. "They have credentialing in their back pocket. Feedback has been very positive," he says. Job counselors track job placement and monitor contractors' staffing needs to avoid flooding the market. "We continue to 'hit the pavement' for grants, work with local funders in business who have supported us in the past, and look into more state funding," says Mr. Stokes. Sustainability will require enormous public collaboration and multiple lines of funding, says Niki Morris, manager of the Ohio Weatherization Training Center, Corporation for Ohio Appalachian Development, Athens. "We are leveraging dollars from any place we can." Public sector government employees are "really open to rolling up their sleeves and getting things done." In Ohio, standards set by the state demand a high level of training and workers are eager to take classes to improve their job prospects. "Stackable, exchangeable credentials are one of the ways this workforce is going to remain sustainable," Ms. Morris says. Call it an idea exchange or a giant information swap meet. Weatherization professionals used every opportunity to share their experiences at the Weatherization Training Thought Leaders Summit, held in Santa Fe, New Mexico, on October 11-13. About 80 attendees focused on how to create sustainable training centers by integrating weatherization, building science, and other home energy upgrade programs. They benefited from each others' successes and lessons learned, and they let their creative juices flow as they continue charting the next year of growth and development. Click here. Five Train-the-Trainer Workshops fulfilled their goal to make better trainers out of the experienced weatherization professionals who teach in learning centers around the country. Participants honed their teaching skills when they were asked to work with a small group and present material to the class. Presentations were video-recorded, an exercise that allowed careful review of performance. Seasoned professionals came to realize there are many new ways to engage students and teach effectively. The workshops focused on adult learning concepts, but also served as weatherization "refreshers" for lessons learned in past trainings. "This workshop helped me to discover that there is more to teaching than getting up in front of a group and telling them how much I know. There is a big difference between a good trainer and an exceptional trainer. Exceptional trainers understand that teaching is truly an art," stated a participant at the conclusion of a four-day workshop. Participants showed enthusiasm and an eagerness to learn new skills. They utilized any free time between classes to network and exchange ideas with others. "There is absolutely no replacement for this type of face-to-face interaction with my peers. I have gained more from that aspect than the last 10 trainings I have been to," commented one participant. Workshops were held at Southface Energy Institute, Atlanta, Georgia; INCAA's Indiana Training Institute, Indianapolis, Indiana; and NYSWDA's Training Center, Syracuse, New York. Fourteen participants enrolled in each workshop; they represented training centers from all parts of the United States. 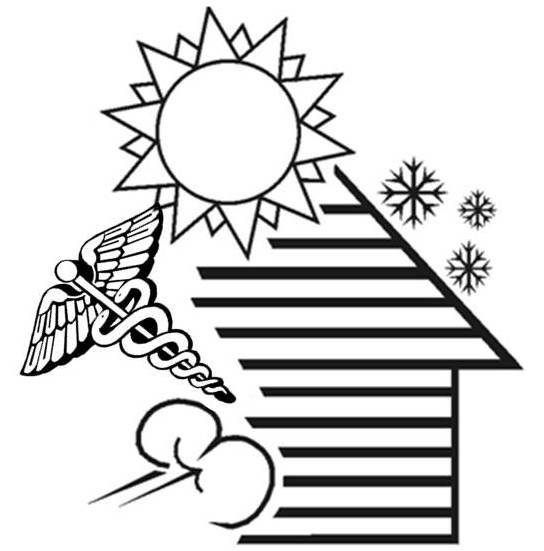 The Weatherization Plus Health Regional Conference will provide introductions to the national Healthy Homes project and the Weatherization Assistance Program. The conference is slated for November 16-18 in San Diego, California. Healthy Homes experts will discuss collaboration efforts and best practices for merging energy and health services in communities. The conference is open to state and local weatherization directors, state public health officials, community services block grant staff, community action associations, housing and community development agencies, and health/safety organizations. This initiative is sponsored by the U.S. Department of Energy and is the last of six regional conferences held this year. The National Association of State Community Services Programs implements the project.